June has been ups and downs month with things moving so fast, travelling, the summer heat, oh well we always have hot and humid weather except these few months have been crazily hot and not forgetting some hiccups happened as well. That’s life journey I guess, sometimes we gain and sometimes we learn. I decided to chill, have a drink and unwind on weekend. How about you? 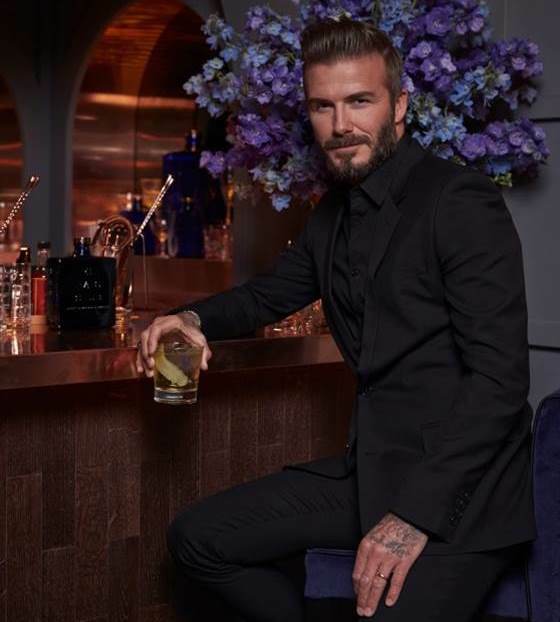 Simple indulgence… unwind with a glass of refreshing HAIG CLUB ™ cocktail ~ Haig Clubman, the is a new single grain scotch whisky from Diageo produced in partnership with global icon David Beckham and entrepreneur Simon Fuller. It has aroma of butterscotch, honey and dried tropical fruits with mild pepper, Christmas spice, apple esters and light oak. Taste of rich and creamy palate that mixes sweet flavours of brioche, coconut and vanilla. On a second sip and after that the bourbon notes come through with toffee and the hint of vanilla giving the liquid complexity and body which carries through the smooth overall flavour delivery. David Beckham hosts the launch of HAIG CLUB ™ London at the iconic English Heritage site Wellington Arch. It’s crafted at Scotland’s oldest grain distillery, Cameronbridge is as much built on tradition and heritage as it is a scotch whisky designed for our modern world in fresh clean style. 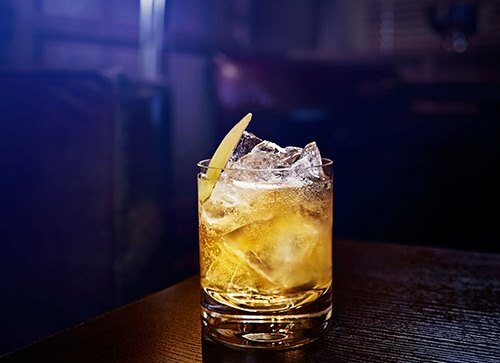 HAIG CLUB ™ made those who are new to Scotch whisky and want a mixed drink or a lighter tasting spirit. Their Malaysian Influencers are Mr Bryan Loo and Ms Su Lynn. Aroma: Light creamy butterscotch or custard, with tropical fruits and citrus becoming richer and sweet with a pleasing light woody spiciness. Finish: Smooth, short and very clean with traces of freshly sawn wood. Bottle: the colour of the bottle pays homage to the tradition of using blue tasting glasses in the blending room to test the quality of a whisky through nose and taste alone. After work I went to Sime Darby Convention Centre @ Bukit Kiara Kuala Lumpur to attend Julie’s Buka Puasa event together with some blogger friends. It was a pleasant day apart from the heat during the day. The children from Rumah Anak Yatim Shifa’ Asrama Darul Falah Perkim (ASDAF) were also invited to the buka puasa. The children looks happy with their goodies bag from Julie’s and also they had a good time playing some games before buka puasa and also enjoy the buffet spread. We were all busy writing Hari Raya postcards to our friends and family, including myself. Julie’s has offered to cover the postage and post it for us, within Malaysia only (Sabah & Sarawak is included). All we have to do is to drop the postcard in Julie’s post box. Well, it has been a while since I send a postcard, this is old skol but it has more human touch than sending digital card or via email. In this way, we could spend some time to pen down our message and express gratitude or affection to the people that we miss, we care and we love. Thanks Miriam for the invitation, I had a good time with friends yesterday. Indulge ourselves with the daily and affordable luxury of the new Guardian Les Tentations Méditerranéennes Bath & Body Care range. It is enriched with eco-certified botanical extracts from the Mediterranean coast and dermatologically tested and proven. There are 3 variants such as Rose Water, Grape Seed Oil and Mimosa Water. Well, Mediterranean countries are famed for the beauty of their people with clear skin, thick hair and a glow of good health that has been attributed to their strong beauty culture that harnesses the wealth of natural beauty secrets of botanicals available there. The new Tentations Méditerranéennes Bath & Body Care is enriched with eco-certified botanical extracts from the Mediterranean coast. The range consist of Shower Cream, Body Scrub, Body Lotion, Body Butter and Hand Cream and comes in three variants of Rose Water, Grape Seed Oil and Mimosa Water. It has no added harmful chemicals such as parabens, soap and lanolin and has been dermatologically tested and proven. The Les Tentations Méditerranéennes Bath & Body Carerange is ideal for fragrance layering starting with the shower cream for cleansing, the body scrub for exfoliating and the body products to seal in moisture, extend skin benefits and sustain a more intense, complex top-to-toe fragrance that will stay with you. Rose Water variant is excellent for skin-lightening and moisturising as French Rose Water is an excellent emollient to moisturise and care for mature and dry skin, Italian Alpine Apple contains oleic and linoleic fatty acids to effectively moisturise, nourish and refresh skin while the Greek Pink Rockrose helps to lighten and whiten skin. They are infused with rejuvenating scent of Rose, Mimosa and Sandalwood to bring the exotic Mediterranean indulgence to your delicate skin. Grape Seed Oil variant has anti-aging properties thanks to the powerful anti-oxidant properties of Resveratrol that is found in grape seed oil. Resveratrol helps to protect skin against external aggressions and helps fight against aging. The French Malt Barley is also high in anti-oxidants and helps to protect skin from the damage caused by free radicals while nourishing skin. Adding to the protective benefits is the Albanian Sweet Violet that moisturises, purifies and rejuvenates. They are infused with revitalizing scent of Cassis, Woody and Vanilla to bring the exotic Mediterranean indulgence to your delicate skin. The Eco-Certified French Mimosa Water in this variant has been used for centuries for its skin soothing and regeneration properties. French Saffron, the most expensive spice in the world is rich in flavonoids, it also promotes radiant skin and helps to reduce the signs of aging while Spanish Licorice is traditionally used for its skin lightening, calming, soothing and refreshing benefits. They are infused with refreshing scent of Bergamot, Magnolia and Freesia to bring you the exotic Mediterranean indulgence to your delicate skin. 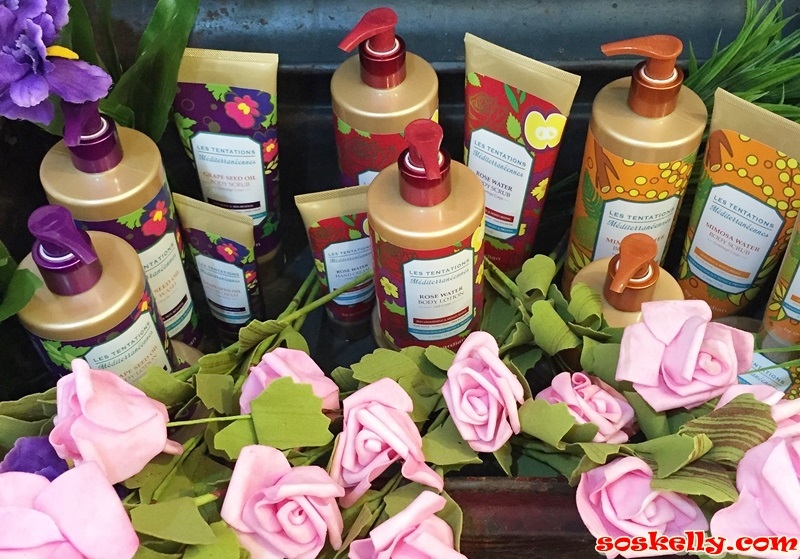 Promotion: to celebrate the introduction of the Les Tentations Méditerranéennes Bath & Body Care Range, Guardian will be holding the ‘Greece Getaway’ contest with the main prize being a air tickets for two to Greece, worth more than RM10,000. There are also 20 consolation prizes of RM100 Guardian vouchers to be won. To participate and stand a chance to win, consumers need only purchase any product from the Les Tentations Méditerranéennes Bath & Body Care Range and log on to www.greecegetaway.com.my. The contest begins May 27th and will end on July 31st, 2015. Price: Les Tentations Méditerranéennes Shower Cream 470ml at RM10.90, Body Scrub 200g at RM19.90, Body Lotion 300ml at RM19.90, Body Butter 250ml at RM19.90, Hand Cream 65ml at RM10.90 and Body Care Gift Set (Shower Cream 60ml, Body Scrub 50g and Body Lotion 60ml) at RM18.90. New research from Japanese Anti-Ageing Expert Prof Takuji Shirasawa Shares Latest Findings on The Brain Protective Benefits of Medium Chain Fatty Acids and Omega-3; traditional Asian diet rich in coconut milk and oily fish confers anti-ageing benefits on the brain and the heart offering healthier, happier golden years, with delayed onset of degenerative and chronic diseases such as Alzheimer’s and heart disease. Alzheimer’s Disease is a chronic neurodegenerative disease that accounts for 60 to 70 percent of dementia. The most common early symptom is difficulty in remembering recent events (short-term memory loss). As the disease advances, symptoms can include: problems with language, disorientation (including easily getting lost), mood swings, loss of motivation, not managing self care, and behavioural issues. As a person's condition declines, she or he often withdraws from family and society. Gradually, bodily functions are lost, ultimately leading to death. Alzheimer’s disease is a common problem afflicting the elderly and is estimated to affect at least 5% of the population aged 65 years and above. In Alzheimer's Disease, neurons cannot utilize glucose, but can use Ketone Bodies as fuel. This is why Alzheimer's Disease is now called type 3 Diabetes. For many adults dietary change can be met with resistance as taste preferences have been developed over many years. However, Professor Shirasawa’s recommendations can accommodate the local Malaysian diet with a strong emphasis on oily fish such as sardines, deep sea fish such as tuna and the once medically maligned coconut milk. Oh! Well! 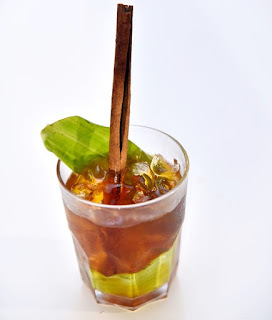 KL finally has a Signature Mocktail it can be proud of now aptly named “Teh Malaya”. 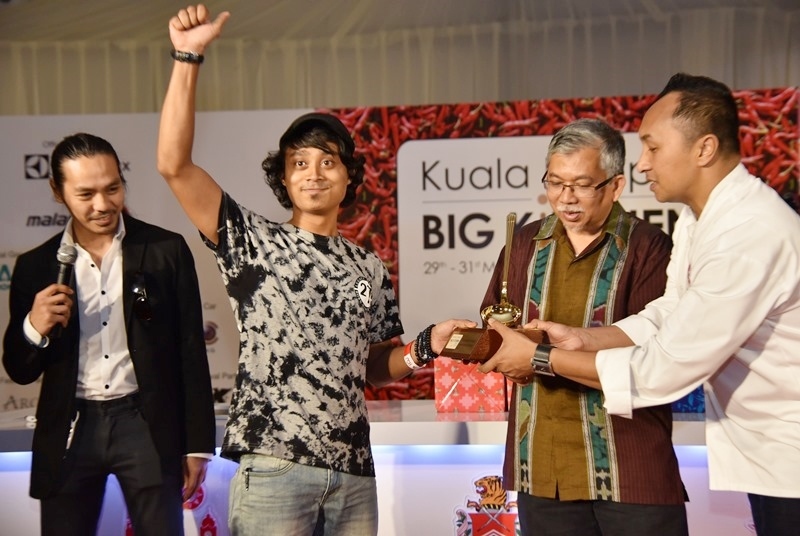 This was announced at the closing of KL Big Kitchen Festival 2015 with Muhammad Rushdi picked as the winner of KL Signature Mocktail competition. The winning mocktail was truly a local concoction which is tea based infused with cinnamon and sweetened with pandan leaves. According to Muhammad Rushdi, besides being able to have the mocktail anytime of the day it also has its health benefits as it can reduce cholesterol and lower blood sugar levels. Judging of the competition was handled by Miss Julie Wong, The Star daily’s esteemed food editor, Mr Ash, a Diageo Reserve World Class Bartender finalist and formerly of Frangipani and Bakita and now at Nobu KL and Mr Shawn Chong, the talented co-owner of Omakase + Appreciate. Shawn is known to have created the exotic Malaysian inspired masterpiece “Pandan & Lemon” mocktail. Lastly Mr James Barker who moved to Malaysia from London two years ago, and is currently working as the Head Bartender at Ril’s Bar Bangsar, His preferred style spans from contemporary and classic mocktails to creating signature libations drawing influence from both Asian and Western cuisine. KL Big Kitchen Festival 2015, 3-day food fest was officiated by Seri Paduka Baginda Raja Permaisuri Agong, Tuanku Sultanah Hajjah Haminah during its Grand Launch on Friday and proudly presented by Kuala Lumpur City Hall (DBKL) in partnership with the Ministry of Tourism & Culture. It featured 20 international and local chefs cooking 119 recipes and on the “Padang” there were 8 food Villages serving over 200 types of food prepared by over 100 vendors. The 8 Food Villages included Negeri, Warisan, Mayor’s Courtyard, Dulang, Samplings, Food Trucks, with Warung and Manisan coming out tops in the popularity stakes. The line-up of the chefs included Michelin- star Chef Christian Mettermeier, Chef Norman Musa, Chef Andrew Nutter, Chef Claire Ptak, Chef Will Meyrick, Chef Cyril Rouquet and local chefs including Datuk Chef Wan Ismail, Dato’ Chef Ismail Ahmad, Chef Florence Tan, Chef Jochen Kern, Chef Malcolm Goh, Chef Firdaus Hanan, Chef Dr Ezani, Chef Izyan Hani, Chef Anis Nabila, Chef Darren Chin and Chef Kamarul, plus Chef Adu Amran and Chef Isadora Chai took centre stage as the real “stars” of the festival. Each illustrious chef captured their audience with unique presentations during both their demonstrations and workshops much to the satisfaction of their food fans. Daily food talks at the Festival was by Bondan Winarno (leading Indonesian Food Reviewer & Television Presenter) on similarities in the so-called “national cuisines” of Malaysia and Indonesia, Dr. Halijah Binti Ibrahim (Professor at Institute of Biological Sciences, Faculty of Science, UM) presented the health benefits and medicinal uses of ginger and Datin Nik Radiah Nik Hassan (Editor-in-chief of Garden in Asia) spoke on cooking with ginger. The KL Big Kitchen Festival 2015 organised by Kuala Lumpur City Hall (DBKL) in partnership with the Ministry of Tourism & Culture had attracted many Malaysian corporate and international brand sponsorships namely Malaysia Airlines, Elextrolux, Gas Petronas, Sam Groceria, Mercedes Cycle & Carriage, Majestic Hotel, Christofle Paris, KL Arch Gallery and KL Hop On Hop Off with a total value of the sponsorships up to RM1.5 million.